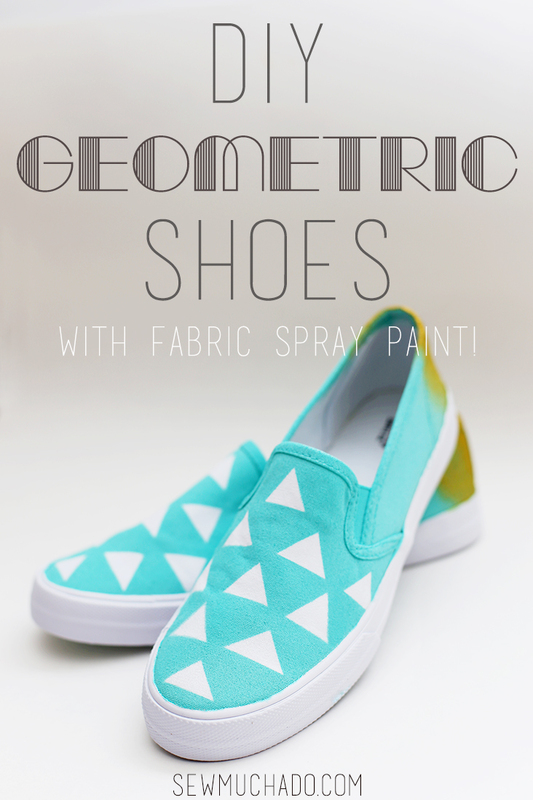 Today I’m sharing an easy and fun way to make these geometric inspired shoes! 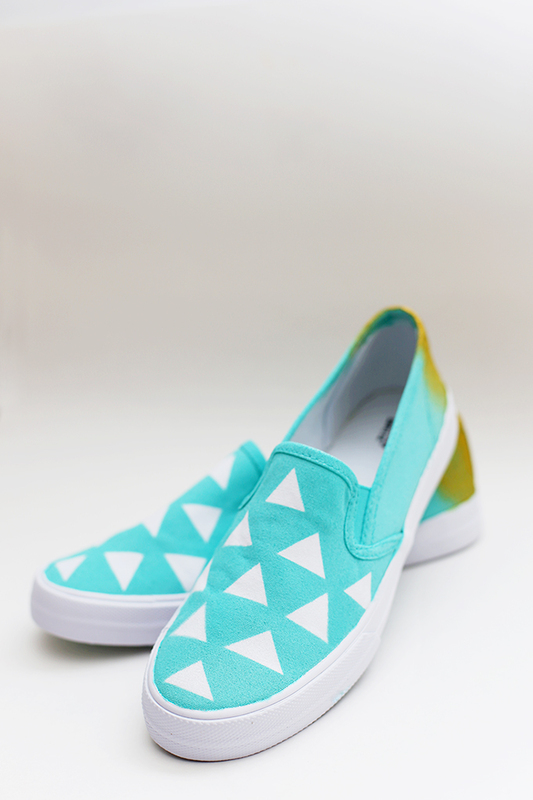 Slip-on canvas shoes are my go to choice for footwear in the summer, and I’m always looking for a unique new pair to keep my wardrobe fresh and stylish. 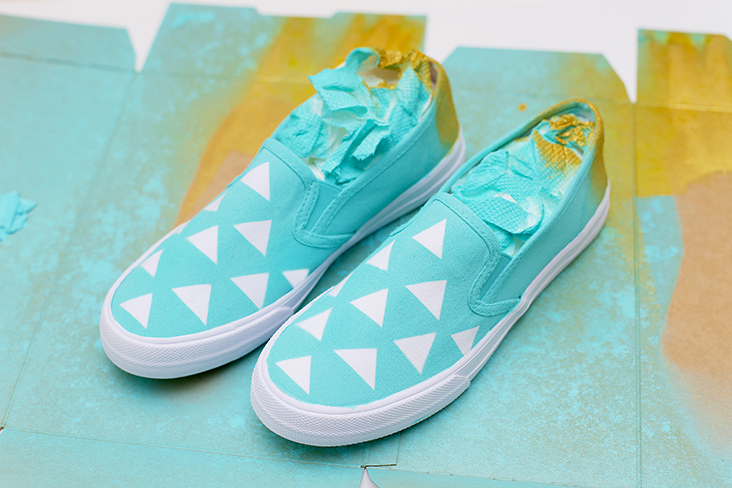 This is the perfect way to add some pizzazz to a pair of white canvas shoes, and will have your feet ready for Spring! 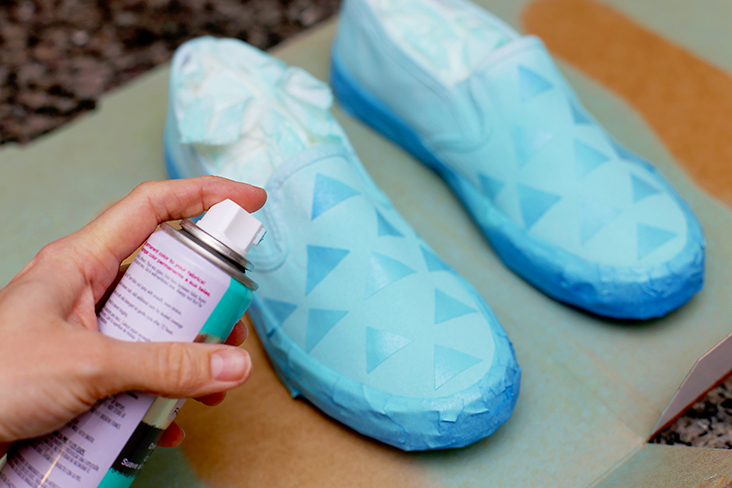 Painted shoes are much easier than you might think! 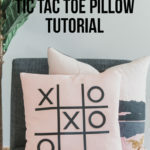 To create the geometric triangle shapes, we’ll use Tulip Color Shot Instant Fabric Color, which is a fabric spray paint that is super user friendly. 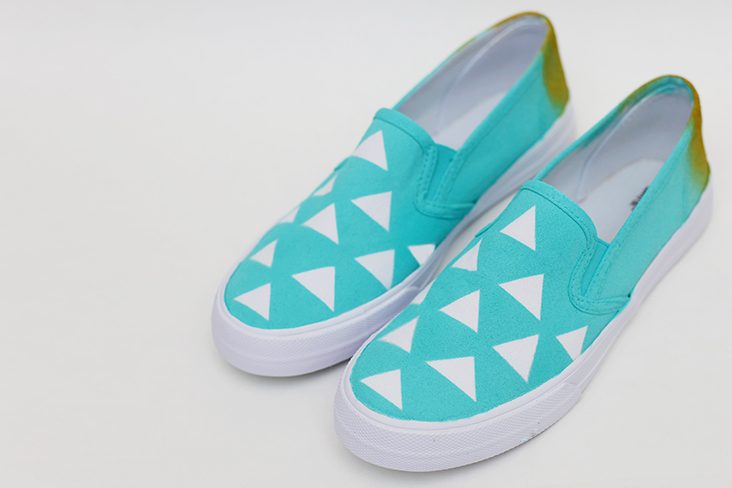 You’ll have your new shoes ready to go out on the town in no time! 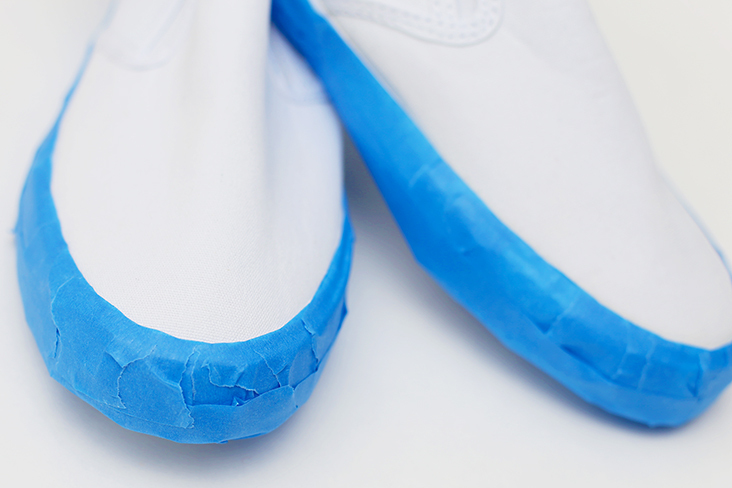 Begin by taping off rubber edges of each shoe with painter’s tape, sealing off edges next to canvas as closely and tightly as possible to prevent paint bleed through. 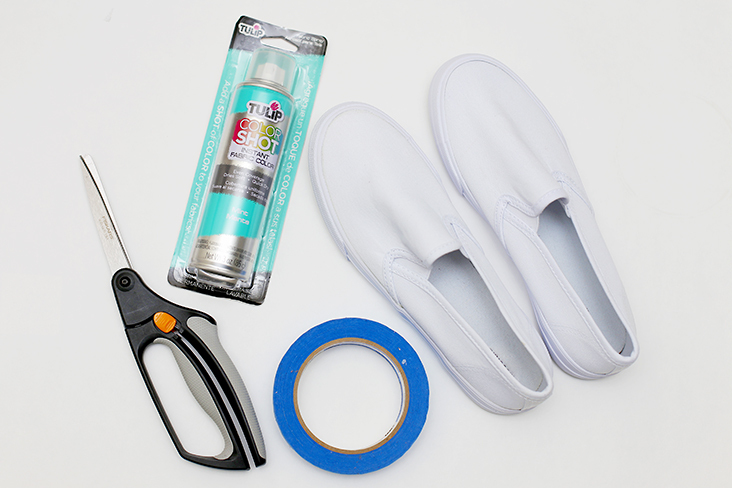 TIP: It helps to use small pieces of tape around the toe and heel curved areas. 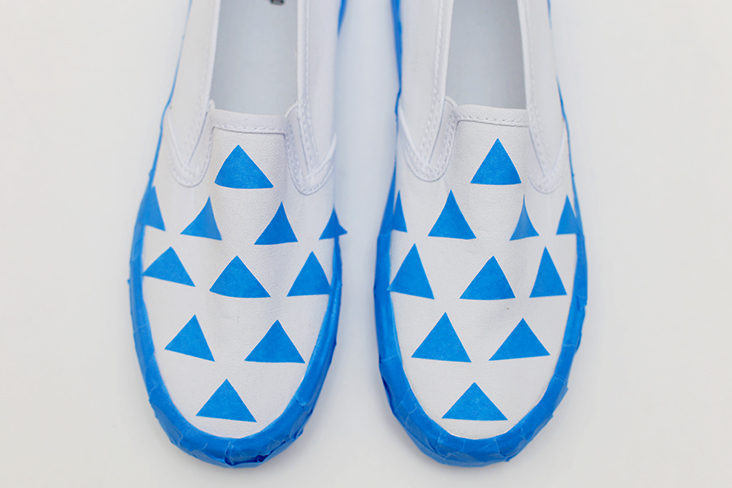 Cut small triangle shapes from painter’s tape, approximately 1”x1”x1” and place them in desired pattern on each shoe. 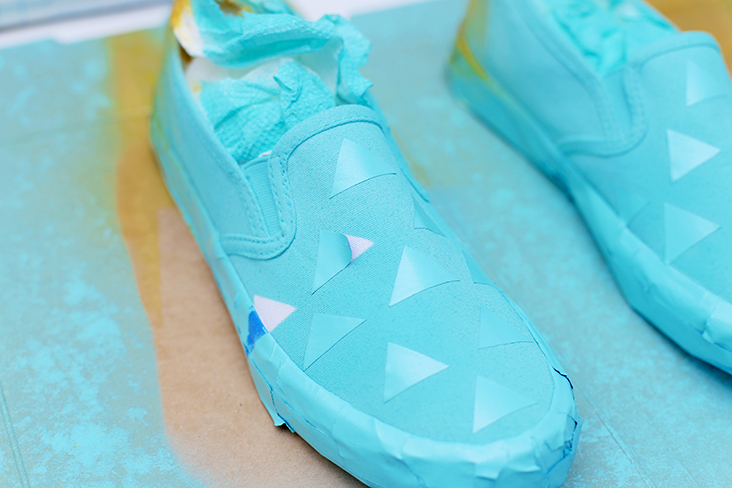 Now for the fun part – the painting! 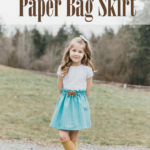 Place shoes on cardboard or newspaper in a non-windy outdoor location. Following manufacturer’s instructions, shake Tulip Color Shot Instant Fabric Color Spray for one minute. 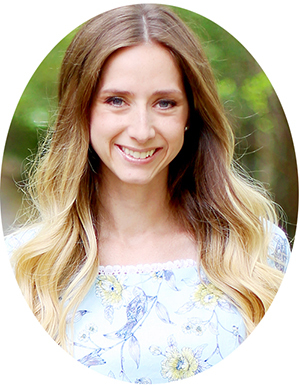 Spray thin, even coats, 5 minutes apart, until desired color is reached. 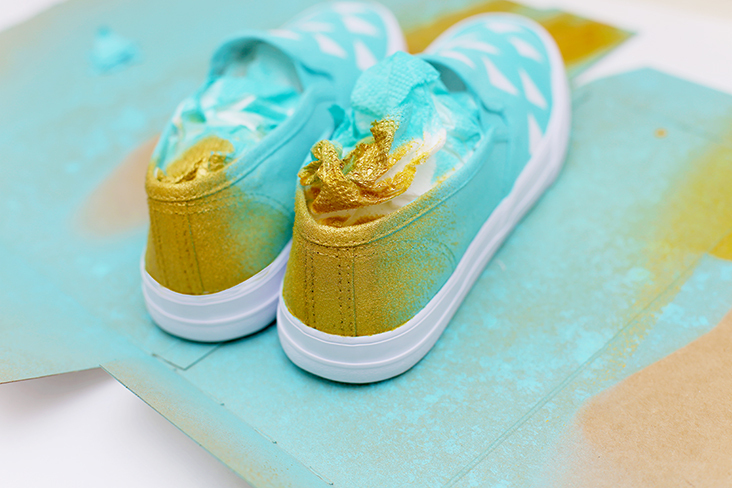 I sprayed 3 coats of mint, and then finished with two coats of gold up the back of each shoe for accent! 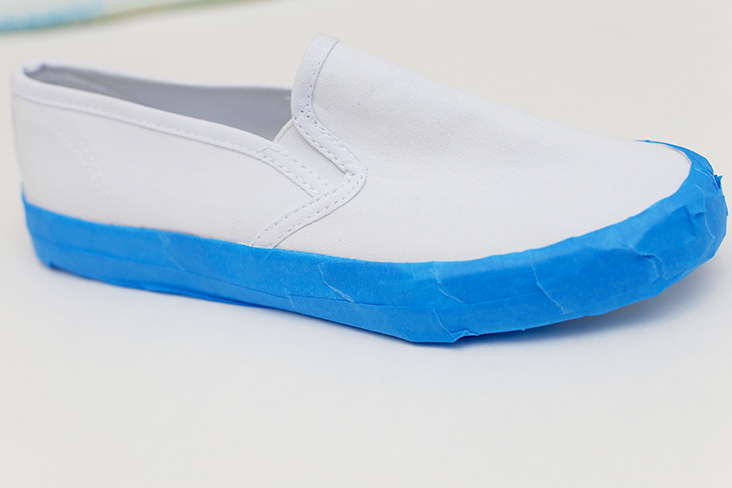 Let shoes dry completely (30 minutes is recommended but I left these overnight). 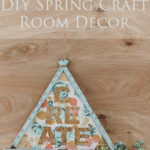 Remove all painter’s tape carefully. 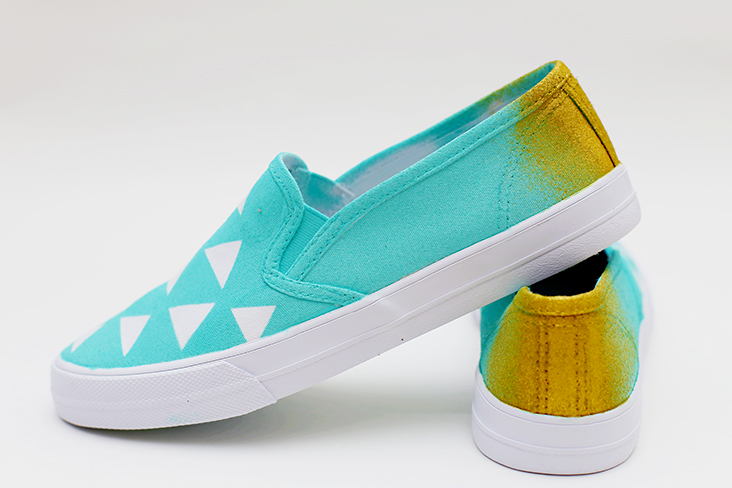 Remove paper towels and you now have a custom pair of shoes that you’ll love to wear! How easy was that?! 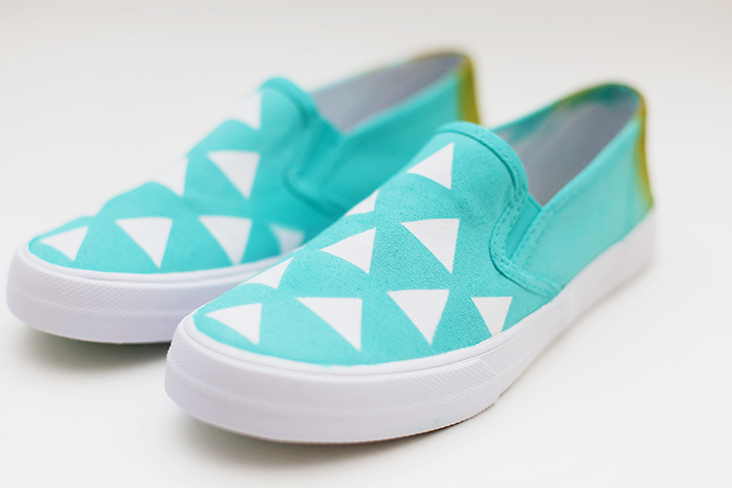 Now make some plans and start rocking those new shoes! 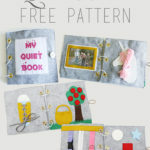 This tutorial was originally created for Jo-Ann Fabric & Craft Stores, who supplied the materials and provided compensation for the post. All opinion, content, and photography are genuine and my own! Thank you so much Charity!